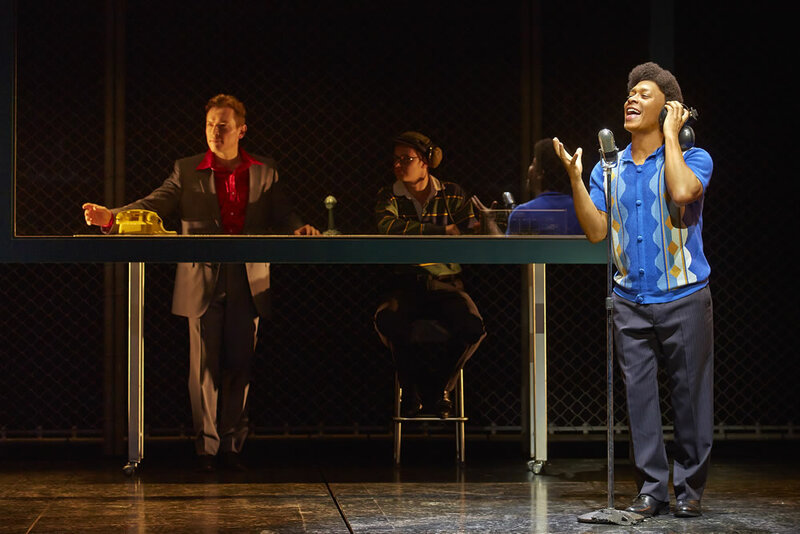 It took me almost 2 months to finally go and check out Jersey Boys – the show that used to be one of my absolute favourites in the West End – in its new home. Now, before I sum up my thoughts I want to point out that I went with an open mind – even more so, I wanted to enjoy the show just as much as I had enjoyed it for the past 6 years. First of all, I think the staging works well in the Piccadilly Theatre. Everything seems slightly smaller and it took me a few scenes to get used to props being wheeled on from the sides rather than appearing out of a trap door. I did feel the sound was rather flat in parts – I was missing the buzz I always felt when the big numbers came on in the Prince Edward Theatre. But that might have been due to my seat on the far stage left side of the auditorium since I haven’t heard anyone else complain about the sound so far. Ben Wheeler gave a faultless performance as Tommy DeVito. He was one of the reasons I chose this particular performance because I just adore his Tommy. He really makes the part his own and manages the mix between Tommy – the bully and Tommy – the charming man perfectly. 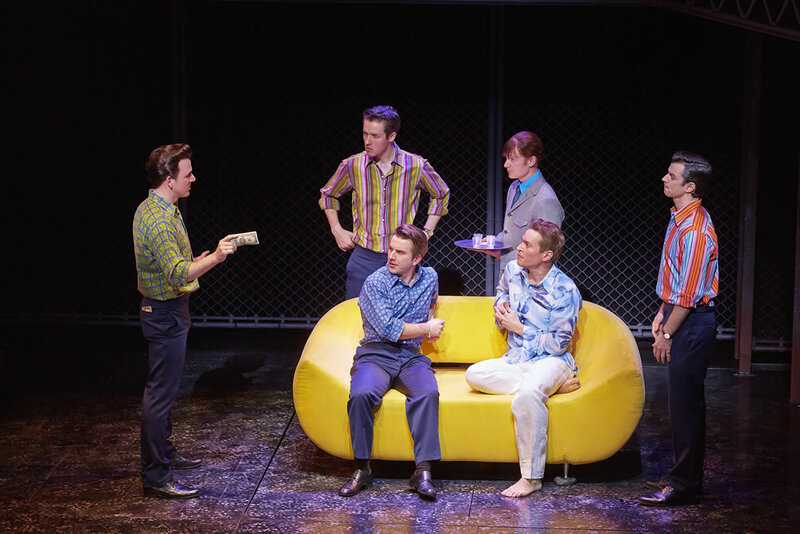 Edd Post’s Bob Gaudio has developed so much since he took over the part in March 2013. His singing is great and he gives Bobby a boyish charm and just the right amount of confidence. I enjoyed Matt Nalton’s take on Nick Massi. For me Nick needs to be calm and collected right until his outburst in act two. Matt managed that well and I think he will be wonderful in the role once he has settled into it fully. Sandy Moffat was on for Frankie Valli and I had high hopes for his performance having seen him in several other shows (Rock of Ages and Dirty Dancing to name two). He has always impressed me with his voice and acting and I was happy when I found out he had been cast as alternate Frankie Valli. However, I have to say he didn’t convince me in this role. His acting was ok with room for improvement which is understandable considering it was only his second Frankie show. His singing was very inconsistent and he struggled with the falsetto. I realise this is one of the toughest singing parts in the West End but Sandy seemed to have problems hitting the high notes at all. I have heard other Frankies sing in a slightly lower key and that worked perfectly well. Obviously it is not on me to advise a singer on how to approach a song but personally I would love to hear Sandy give the lower key a try. Out of the new guys and girls I enjoyed Graham Vick’s Gyp de Carlo (although he is technically not a new guy) and Rob Wilshaw’s Donnie / Knuckles the most. Sean Mulligan’s Bob Crewe was too over the top in parts for my liking. Emma Stephens gave a solid performance as Lorraine but didn’t stand out for me. And I couldn’t warm to Sophie Carmen-Jones’ Francine and Matthew Hunt’s Norman Waxman. All in all the show is not in a bad shape and I can’t fault the cast in general (after all it’s mostly down to personal preferences if someone enjoys a performer’s take on a role or not). But I admit I just didn’t enjoy the show like I used to. For me it was missing a certain sparkle and I sadly ended up being slightly bored and wanting it to end. I’ve had a fantastic time watching Jersey Boys over the past 6 years but I won’t rush back to see the show again at the Piccadilly Theatre. It’s time to move on and leave Jersey behind. 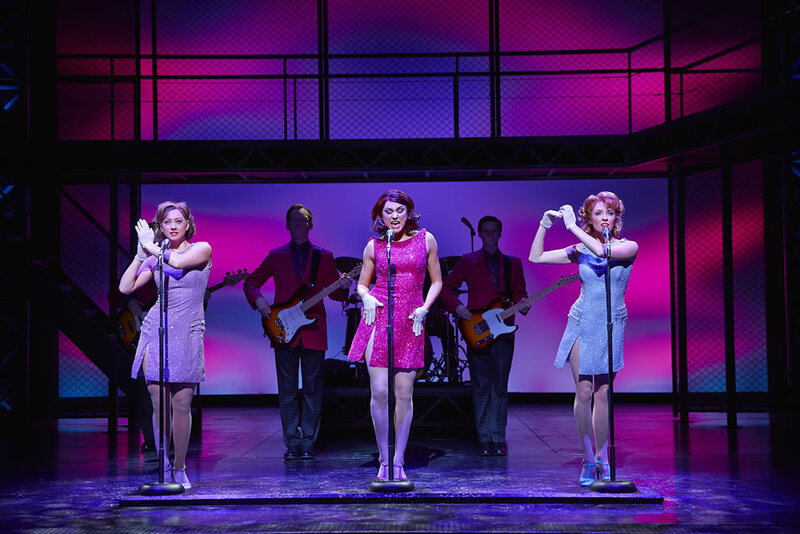 However, that shouldn’t stop you from watching the story of Frankie Valli and the Four Seasons. For more info and to book tickets go to http://www.jerseyboyslondon.com. Went last night. 5.7.15 and he was fantastic. He completely stole the show. You must have had a one off. I’m going to see him in concert if I can.